and what works for one person doesn’t necessarily work for another. 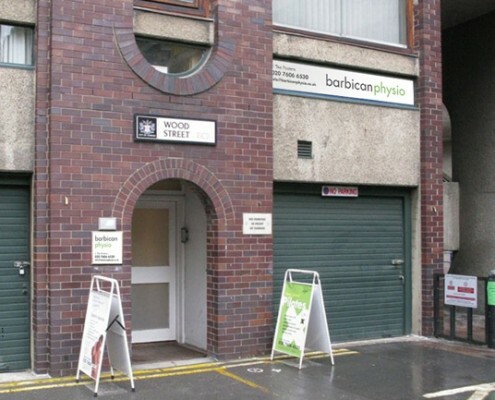 Barbican physio was founded in 1980. Following a change of ownership in 2015, the clinic has doubled in size. We now run three on-site corporate clinics and have recently launched a new women’s health physiotherapy service and a new fully equipped Pilates studio. We are covered by all of the major private medical insurance companies. The clinic is located on the podium level. The street entrance is permanently closed. We operate an appointment system based on half hourly sessions.